More than 50 high-profile campaigners have signed a letter to Michael Gove, the environment secretary, calling on him to recognise the crustaceans as animals. Under current Animal Welfare laws in Britain, decapod crustaceans aren’t classed as animals and therefore aren’t covered by the Animal Welfare Act. Studies have shown that lobsters and crabs do feel pain, with crabs actively avoiding otherwise valuable dark hiding spaces after being administered painful electric shocks inside them. 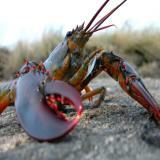 While being boiled alive, the crustaceans will struggle and attempt to free themselves, while also shedding their limbs. Some studies have shown that crabs feel the pain of being boiled alive for as long as three minutes. Decapod crustaceans are protected under animal welfare legislation in Norway, Switzerland, Austria, New Zealand and some Australian states and territories; as well as in some regions of Germany and Italy. Yet in the UK, decapods fall outside of the legal definition of ‘animal’ in the Animal Welfare Act 2006, and so there is currently no legal requirement for food processors, supermarkets or restaurants to consider their welfare during storage, handling or killing.